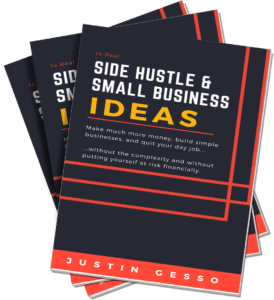 Justin Gesso is a bestselling author, MBA, and accomplished entrepreneur. He thrives on helping others achieve their own personal freedom through the creation of simple money machines, side hustles, and small businesses. Affiliate disclaimer: By purchasing products at certain links provided, I may receive a commission. Know that I operate with utmost integrity. I have personally used any product I recommend.